I met some new friends in school and we planned to eat dimsum on Friday night. 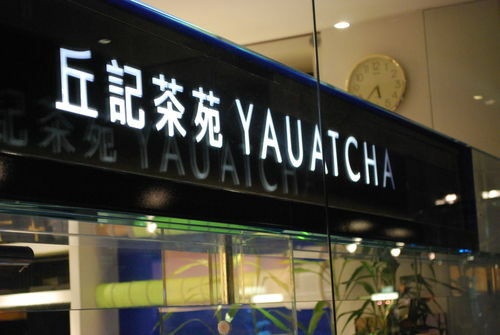 John suggested Yauatcha, a famous top dimsum restaurant in Broadwick Street, Soho. 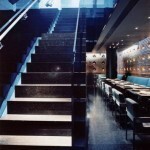 Previously I’ve tried Shanghai Blue and Royal China in Canary Wharf. Royal China is cheap, with prices from £2.60 per dish, but I give it 2.5 stars out of 5. It’s cheap but dimsum was just ok.
As my need to find more authetic dimsum restaurants, I heard Yauatcha is well-known in town. My friend Eileen is from Seoul in Korea and Vicky from Hong Kong (who couldn’t wait to taste the food). The restaurant is a little hidden behind Oxford Street. Inside the decoration is simple, modern and stylish in blue. We ordered eight dishes dimsum, four for vegetarian dishes, with my favourite cheung fun and one ginger Gai Lan and Stir-Fried Beef Ho Fen. It turned out that they make very good and authentic dimsum. I felt so overwhelming excited that finally I found some great dimsum to eat in London. All dishes are definitely 4.5 stars and the Stir-Fried Beef Ho Fen is the highlight of the meal (you have to order!) It was not oily, dry with very tasty soysauce; the beef was just perfect and juicy, and is making me hungry just thinking about it. Overall, we each spent under 20 pounds each and were very full. 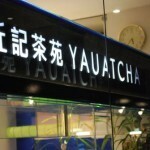 I give Yauatcha 4.5 stars and as a dimsum fan can highly recommend it. If you try them, you will know how to spend your money in dimsum restaurant. Here is the memu, lunch and evening menu will be a slightly difference. This entry was posted in General 文章, London Food Review 吃遍伦敦 and tagged Chinese Restaurant, dimsum, London, top dimsum in London by Carmen. Bookmark the permalink.